Here are highlights of two research reports offering insight into Smartphone and Twitter habits and usage. Have the ads about the new Apple iPhone 5 and android-based Galaxy got you thinking about how you’re engaging your members or supporters on their Smartphones? texting and photo-taking are the most common activities for all mobile users. 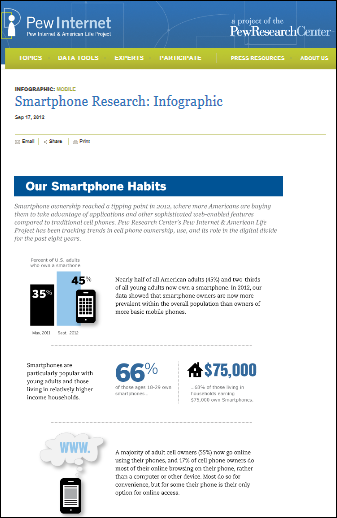 You can check out the Pew research report - Smartphone Ownership Update - here. Pew also created an infographic with highlights of their findings (excerpted above). Curious about the Typical Twitter User? The Pew research confirms that Americans are increasingly using their mobile phones to browse online, text and take photos. But many of us are also checking and sending tweets on our Smartphones. And a recent post on Gigaom, reports on a Beevolve research study that offers insight into Twitter usage based on data from 36 million Twitter profiles. As the post suggests, the research “probably corresponds to what you suspected: most Twitter users are young iPhone users from English speaking countries.” In fact, they found that "the Typical Twitter user is a young woman with an iPhone & 28 followers." 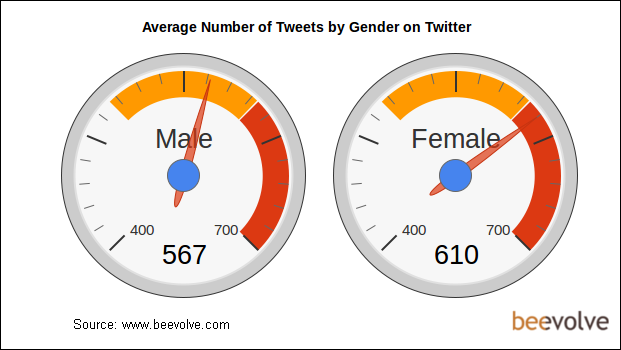 You can check out the full Beevolve Twitter Study here.